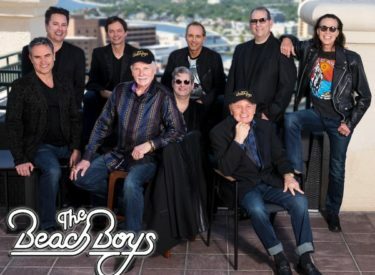 OKLAHOMA CITY — The Beach Boys, featuring Mike Love and Bruce Johnston, will make a stop in Oklahoma City as part of their “Now and Then” Summer Tour to help raise money for the Regional Food Bank of Oklahoma “Food For Kids” program and The Oklahoma Leukemia & Lymphoma Society. All net proceeds raised from this show will be donated to both charities. The concert will be held at The Civic Center Music Hall, at 7 p.m. May 4. Tickets go on sale Friday, Jan. 11, and can be purchased online at www.okcciviccenter.com, over the phone at (405)-594-8300, or in person at The Civic Center Music Hall, located at 201 N. Walker Ave. Oklahoma City, OK 73102. Guest staring, with The Beach Boys, will be Surf Rock Icon Dean Torrence of “Jan and Dean” fame. As a special offer to all fans attending the show, a digital download of Mike Love’s new album, Unleash the Love is included with every purchased ticket. Details provided by The Civic Center Music Hall. This marks the second time the band has played Oklahoma City since 2007 said show producer and Edmond resident John Occhipinti. In Oklahoma, one in four children lives with hunger every day. Every $100 raised from The Beach Boys’ concert will support a child in a Food for Kids program for an entire school year. Last school year, the Regional Food Bank provided more than 2.3 million meals for chronically hungry children through its Food for Kids Programs.